Editor's Note: This is a work of satire, obviously. The Bensons commit to a future of childless dirtbaggery. Dreamtimes photo. MTN. 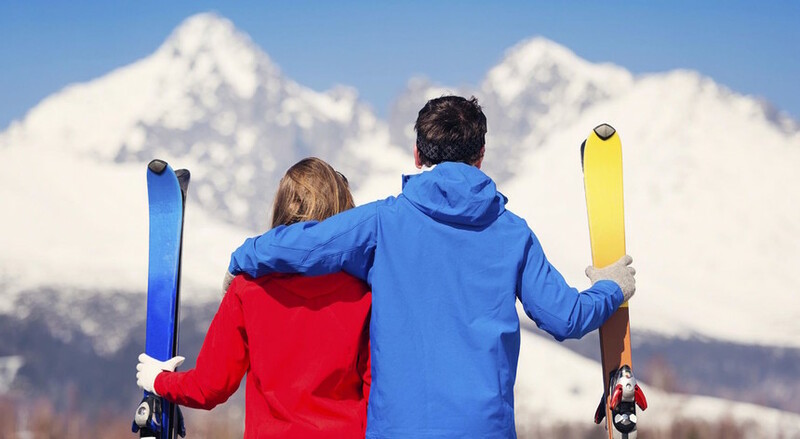 TOWN, USA — A couple gave up all hopes of reproducing Friday after buying two walk-up lift tickets and a round of beers at a local ski resort instead of saving money to have a child. Preceding the decision, happily married #Vanlife couple Tom and Mary Benson had debated having a kid for over three years, but were continually thwarted by the financial demands of powder chasing, multiple surf/dive trips to Southeast Asia—and the payments on their $120,000 Sprinter Van. The couple also cited chronic unemployment as a leading cause of their decision. "Yeah, we weighed our options and—given our financial situation—it was either conceive a child or buy a couple single-day walk-up tickets at our local Summit County resort," the Bensons told TGR. The marital duo had been on the cusp of reproducing, but then it snowed 2 feet, and everything changed. Reports indicate the marital duo had been on the cusp of reproducing, but then it snowed 2 feet, and everything changed. “To be honest, when we first talked it through, we were leaning towards the kid, but then it snowed for the first time in a month, and we weren't going to miss the only pow day of 2017-2018,” Bill Benson said. “Unfortunately, after buying a pair of $175 weekend walk-up tickets and a round of $20 beers afterwards, there's just no way it would be fiscally responsible to bring our progeny into the world."